When deciding on a pediatrician for twins, there may be a few things to consider that differ from choosing a pediatrician for your singleton baby. And, given the fact that you will have twice as many doctor visits, you will definitely want to start with the right one. If you are a parent with some experience, then you may already have a good relationship with a pediatrician that will see your twins as well as your other children. However, if you are a first time parent, and of twins to boot, the following information will help to get you pointed in the right direction. We cover some basic helpful tips on the kinds of questions you should be asking or, at least thinking about. Ideally, you should have a doctor for your twins chosen by mid pregnancy. 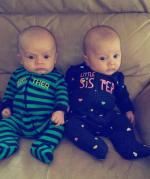 As we all know, twin babies often arrive earlier than expected! Does the pediatrician have any experience with twins? 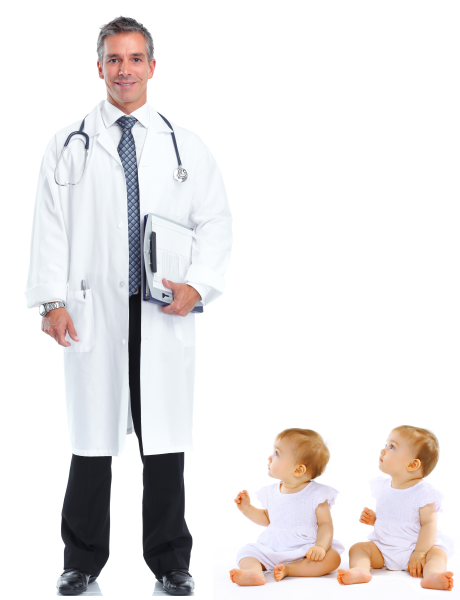 A doctor with some experience will have a much better understanding of some things particular to twins. Like speech development and growth (especially if they were preemie). They may even be able to give advice on more general issues in regard to twins and how they interact, even behavioral problems or concerns. Are they willing to see your twins together at the same appointment for scheduled well baby visits or when they are ill at the same time? This is a big plus for busy parents. Hopefully these questions will help you get started on your quest for a worthy pediatrician for your twins. But, to get an even better understanding on the process of choosing and interviewing a pediatrician, you should read our much more in depth article written by, Elaine Farber, titled How To Find And Interview A Pediatrician. A must read (especially for new parents)! Have more questions? 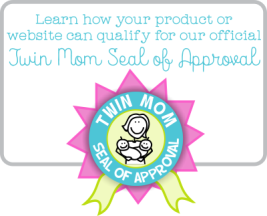 Visit our friend Dr. Khanh-Van Le-Bucklin - Pediatrician and mother of twins!